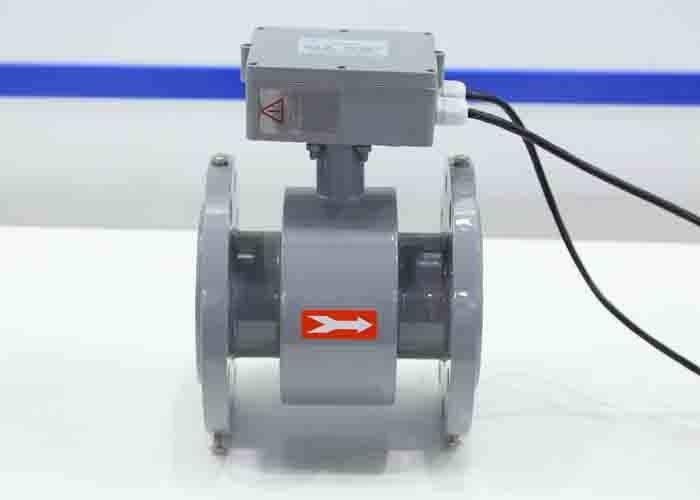 The YF series electromagnetic flow meter can be with signal output of 4-20mA and/or pulse output. The flow transmitter can be mounted either integrally to the flow sensor or remotely. The transmitter features a three-line LCD that displays the flow total, flow velocity, flow rate percent of range, and alarm settings. A four-button keypad is used to change settings. There are 27 flow unit options to choose from programmed into the transmitter.